Gold Rises to the Occasion; Sees its Biggest Rally in 7 Months! 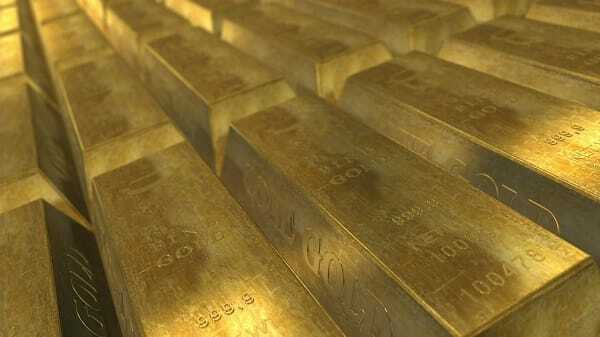 Home » Gold Rises to the Occasion, Sees its Biggest Rally in 7 Months! Gold Rises to the Occasion, Sees its Biggest Rally in 7 Months! Gold’s currently seeing its biggest gains in over seven months. What is likely contributing to the rally? Read more here. This week, Your News to Know rounds up the most important news stories involving the gold market and the overall economy. Stories include: Gold posts biggest gain in 14 months, why gold is not a ‘pet rock’, and it’s time for a serious look at gold investments. Fox Business reports that gold prices reached their highest level in 7 and a half months on Monday, breaching the important psychological level of $1,200 per ounce before settling slightly above $1,190. Likewise, U.S. gold for April delivery settled at a positive $1,197 per ounce. Indeed, much of gold’s recent upswing is attributed to concerns over global economic growth and a plunging stock market as investors rush to the metal’s safety. “People have to move their equities out of there, have to put (money) into safer assets,” Tesfaye explained. Another factor benefiting gold is the recent weak economic data which lowered expectations of further interest rate hikes. Silver, platinum and palladium also gained traction in recent days, going up by 2.8%, 2.2% and 2.9%, respectively. Gold might be considered the most polarizing of investments. On one hand, gold bulls swear by the metal, considering it the world’s true currency in a time of extensive paper money manipulation. On the other, some think of it as little more than a ‘pet rock’ investment which has no way of generating wealth, making it useless in anyone’s portfolio. To see gold for what it is, Seeking Alpha’s Michael A. Gayed urges investors to look at the facts about the metal rather than giving in to emotion. Gayed believes that either supporting or deriding an investment with emotion serves no purpose, preferring to instead take a realistic approach. The facts about gold are clear: Its low correlation with many market forces is one of its biggest strengths and makes it the only alternative asset with true consistency, not to mention its utility as a gauge for risk-off conditions. Equally as important is to understand that gold, like every other investment, is subject to cycles. While one can always buy gold to “short” central banks, the objective argument for the metal is every bit as present; instead of viewing an investment in investment in isolation, one should think of the move as an ingredient in a bigger recipe of managing the uncertainty that comes with the future. Now, more than in a long while, the global financial markets are looking for certainty, something that these days is an elusive commodity. Consider that monetary policy isn’t backed by effective government action, the U.S. recovery seems to be weakening and all other global economies are scheduled to face an even weaker environment than the U.S. Even the almighty Fed is feeling stumped, calling their decisions “data led” as they wait and see what happens before making any moves. While they’re waiting, the consequences of the shift of wealth from west to east are being felt more and more and unseen damage to the developed world is now coming out to the surface. Writing for lawrieongold.com, Julian D.W. Phillips believes this is the perfect time to take a serious look at gold as an investment. The last couple of weeks have shown that the metal is in the process of breaking through after three years of being held back by various factors. The upwards move is stimulated by the U.S. dollar falling against all currencies, changing the climate for gold and silver dramatically. The most noteworthy aspect of gold’s rally might be that the metal’s value finally looks to revolve around bullion rather than speculative paper influences. As investors’ jump to physical gold and silver, Phillips argues that physical volume will at long last help dictate the price. The recent additions of 3.57 tons into the Standard & Poor’s depository receipt (SPDR) gold exchange traded find (ETF) holdings and 0.91 tons into the Gold Trust help to reinforce this, shifting the focus towards physical demand while sweeping resistance to take prices higher. Is the meltdown in stocks causing investors to seek safety in gold? Read further here.